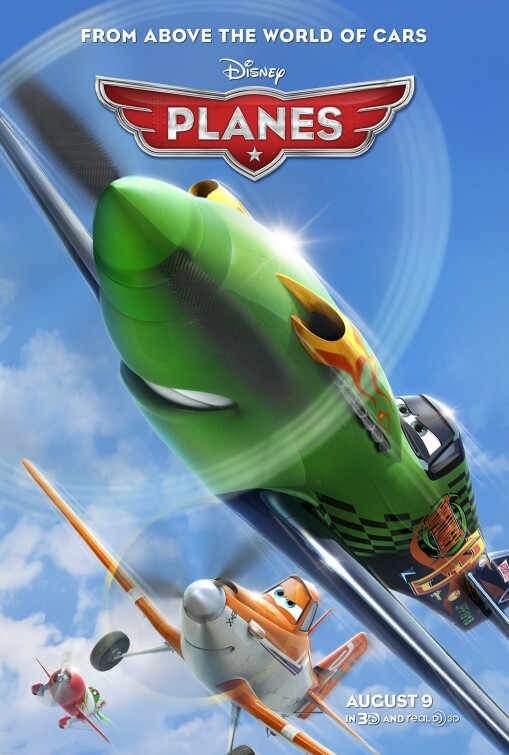 If you’re not familiar with Disney’s PLANES, a pseudo-sequel to the CARS franchise, then you may have missed the various teaser videos leading up to the fall release. Now we’ve got a full trailer, which should good folks an idea of what to expect… and if you’ve seen the CARS movies, you probably can guess where this is all headed anyway. It’s a little odd not seeing Pixar mentioned anywhere here, but since this is a Disney movie and not a Pixar movie, chances are fans will be seeing something familiar without the same impeccable quality they’re used to. Regardless, it looks like mindless fun, and Dane Cook as the lead voice is pretty inspired. Also listen for the voices of Julia Louis-Dreyfus, Teri Hatcher, Brad Garrett, John Cleese, Anthony Edwards, Val Kilmer, Stacy Keach, Sinbad, Cedric The Entertainer, Gabriel Iglesias and Brent Musburger. Take a look at the UK trailer below and tell us your thoughts in the comments. Very funny; I love it. This is definitely on my “must-see” list for the year.